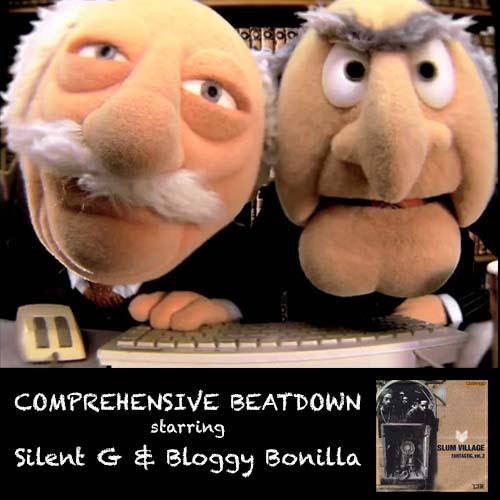 On this week’s edition of Comprehensive Beatdown, Bloggy Bonilla and Silent G re-visit another classic album, Slum Village’s “Fantastic Vol. 2.” which was released on June 13, 2000 (after a good deal of label politics). “Fantastic Vol. 2” is considered a touchstone in the “neo-soul” movement, whose sound was developed by Slum Village’s J-Dilla and a host of other musicians and collaborators (The Ummah, Soulquarians, etc). Like many other classic albums of the time, “Fantastic Vol. 2” didn’t enjoy huge sales, but its impact is unmistakable. The guys also pay tribute to jazz legend Ornette Coleman, who passed away on June 11. The podcast opens with a portion of Coleman’s “Free Jazz,” the controversial recording that divided critics and fans while initiating a new movement in jazz music in 1961.